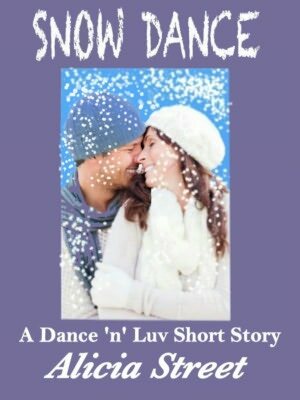 SNOW DANCE is a short story of approximately 13,000 words. While complete in itself, it is also a prequel to the books in the Dance ‘n’ Luv series. #1 KISS ME, DANCER (Casey & Drew) — Excerpt included. #2 TOUCH ME AND TANGO (Parker & Tanya) — Coming Soon. Alicia Street is a Daphne du Maurier Award winning author writing in collaboration with her husband, Roy, as well as on solo projects. She spent many years as a dancer, choreographer and teacher. 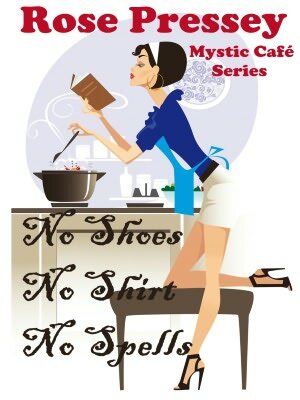 A compulsive reader of every genre, she also loves watching old black-and-white movies and inventing new recipes for soups. This is a collection of NINE SHORT STORIES, all based (unfortunately) on my own experience. Dating, divorce, desperation–all that good stuff! After nineteen years of marriage, I was suddenly thrust into a brave new world of dating–online, offline, standing in line, listening to lines–and I’ve survived to tell these tales. CAUTION: if you’re contemplating divorce, these stories may convince you to consider marriage counseling. If you’re out there dating, chances are you will relate. OMG! Here’s a scary thought: maybe you’ve met some of these guys! Names have been changed to protect the guilty. These stand-alone stories range in length from 500 words to over 3,000 words. The collection is a total of 14,613 words, approximately 55 pages. After being married for nineteen years, my husband wanted a divorce. The good new is that we’re still friends. In fact, when I recently had a bad accident resulting in three emergency surgeries and an amputated toe, he really helped me out. So that’s a happy ending. However, dating wasn’t quite as happy.These nine short stories reflect my experience.Most people find many of the stories funny. (One isn’t supposed to be funny, and most are bittersweet.) Some people don’t. I can’t guarantee you will, but I do guarantee that I poured my heart into these stories, and I love sharing them with readers. Thanks to everyone who’s bought them! This historical generational horror/suspense/science fiction novel defies genre classification as it has intrigue and terror. 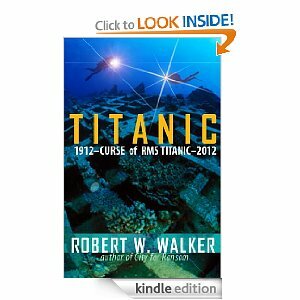 It is a Centenary retelling of the Titanic story to destroy all the false legends surrounding Titanic. “From a master of terror and suspense,” according to Clive Cussler, author of Raise the Titanic, herein lies a compelling reason that forces Captain Edward J. Smith to scuttle his own ship—RMS Titanic. What dark secret prompts such an action on the part of a veteran, retiring captain on a ship’s maiden voyage? What prompts men a hundred years later to pillage the wreck of the Titanic? What secret lies buried within the lost ship—a secret that could destroy all life as we know it? It’s midnight in Granite Cove and only the sea clams are open. Murder creates havoc in this sleepy New England fishing village and Rose McNichols, reporter for the Granite Cove Gazette, is drawn into the case. 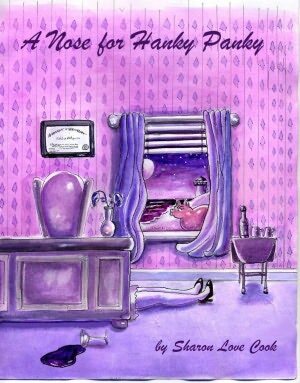 Who killed Vivian Klinger, Ph.D., a woman too perfect for mere mortals, a woman who had everything but a sense of humor? Today’s EOTD include Lois Lavrisa’s Liquid Lies plus Anything Cowboys and Cowgirls We’ve Featured Here on RG2E! One girl with a deadly secret. Body count rising. 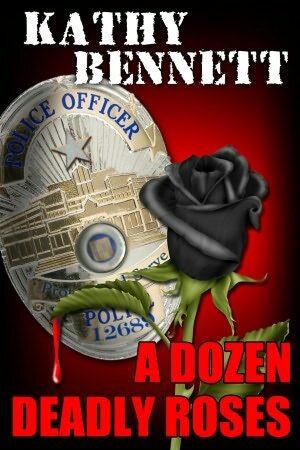 Can she find the killer before she’s the next target? 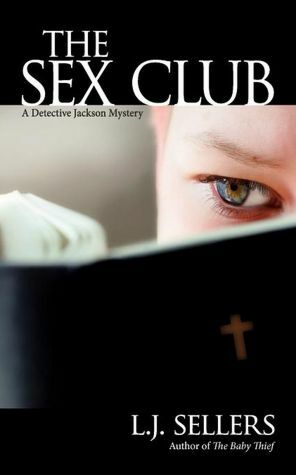 “A compelling story of lies and deadly consequences.” P. R. Mason award-winning author. 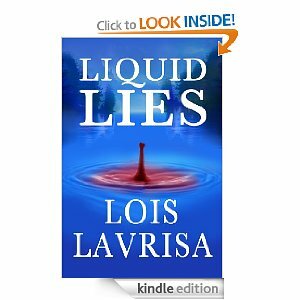 ***Note from D. D.: Congrats to Lois as this book was in Amazon’s Top 100 Bestseller List for the last week and is now around the #125 mark!!! And how’s this for some superfab fun too?! 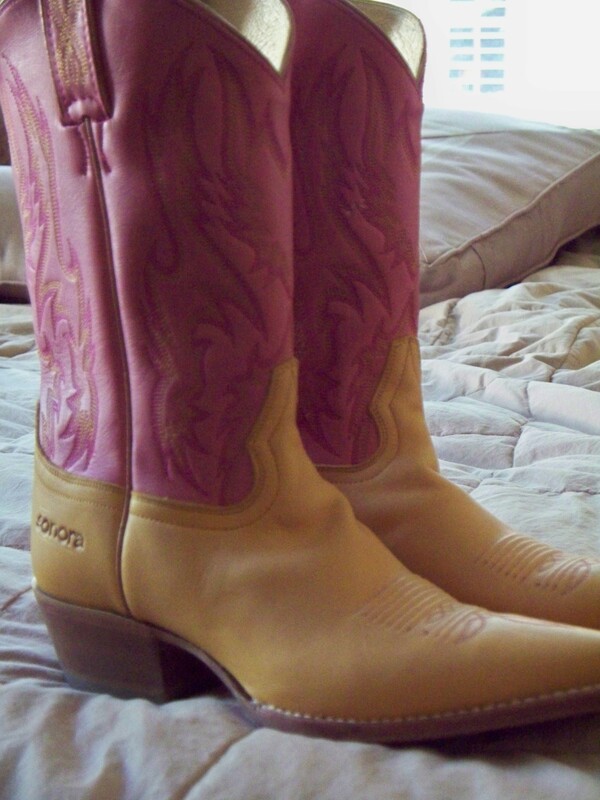 How ’bout we also give y’all the chance to win any book we’ve featured on RG2E with a Cowboy and/or Cowgirl Element?! So start browsin’ our site’s pages and last couple weeks’ worth of posts for your very own country luuuvvvin’ characters and stories!!! Los Angeles Police Officer Jade Donovan is being hunted. There’s the lieutenant who’s out to get her, the psycho who’s stalking her and leaving dead roses at her door, but most frightening of all, she’s been assigned to partner with her son’s father, Mac Stryker. Mac doesn’t know he’s Donnie’s dad, and Jade will stop at nothing to prevent him from finding out and possibly taking away her son. She will protect and defend him at all costs. Mac Stryker is a cop with something to prove. Five years ago, he’d been forced to resign the police department in disgrace when he was too drunk to take action during a shooting. Now, Mac is sober, back on the force and back working with Jade Donovan, the rookie who’d saved his life. Worse, he finds himself attracted to Jade and her precocious son, Donnie. But Mac is through with love. The violent death of his wife and daughter turned him into an alcoholic, and he won’t put his job or his heart at risk again. He will protect and defend them both at all costs. When it comes to food, dating and bathing suits, this fun little book is filled with witty and honest tales that come from the heart of a fat girl trying to keep afloat with a smile. 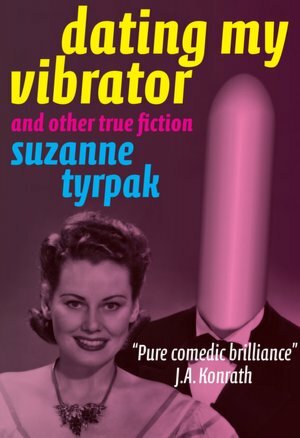 If you’ve ever had body issues, love issues or simply just a bad date, you will surely identify with this writer. The F WORD: Tales of a Fat Girl covers everything from eating and shopping to nakedness and fitting in and everything else between the sheets. 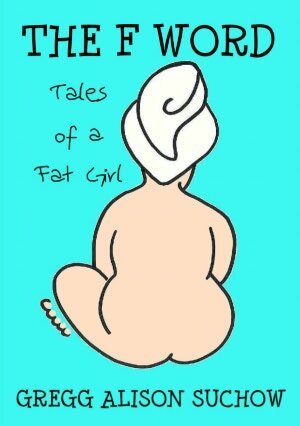 This is the first book of the Fat Girl series. The second is: MARRIAGEHOOD: Tales of a Fat Wife. Gregg Alison Suchow , a nice Jewish girl (with an edge) from Long Island, New York. She spent many years as a single gal in Manhattan, explaining her most unique name, dating, working, creating and living in her plus size body. Always keeping her journal of life’s happenings and looking for love.Newly married and back to the burbs, Gregg shares her thoughts and ideas to all girls with body issues and the like. How ‘Bout an RG2E Super Selection Monday?! Your Choice of Over 100 Ebooks To Be Ebook Gifted!!! Today, here at The RG2E, it’s your choice of over 100 Ebooks we’ve now featured as RG2E Ebooks of The Day (EOTD)!!! 2. Go back through the last two weeks-worth of RG2E Daily Posts and discover Ebooks that way too!!! All the posts are listed and linked to on our Home Page. 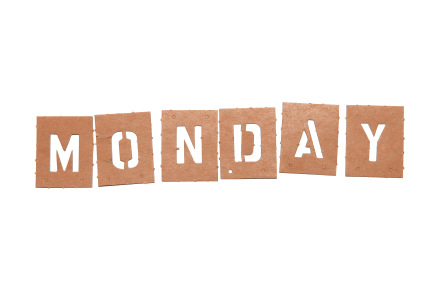 Okay, Y’All, that should give ya a superfab RG2E Super Monday EOTD Selection!!! RG2E Wants to Know…What’s Your Favorite Genre to Eread? By knowing what all you luuuvvv to read, we can be on the look out for the books that you might just luuuvvv to receive!!! How ’bout after you answer the poll, you pick out a book we’ve featured in the genre you luuuvvv most, and you just might win it!!! Leave your choice in our Comments Section and don’t forget to tell us which Ereader you have so we can send you the right format. ***Note: We’re a wee bit behind getting our Genre Pages updated so check those pages first as well as the last two weeks worth of posts on our Home Page! You’ve got over 100 Ebooks to choose from now!! !